On June 9, stargazers will see a special type of full moon that comes only once a year: the minimoon, or a full moon that appears slightly smaller than usual. This moon is called among European colonists of the Americas, the Rose Moon. Celtic-speaking peoples called it the Moon of Horses. And some native peoples in the northeastern U.S. called this moon the Strawberry Moon, as June is when wild strawberries native to the Americas ripen in that region. So what does this powerful full moon have in store for you this month? This Strawberry Minimoon indicates a turning point or mini crisis involving your relationships or finances. It continues a process of transformation you started in the last two weeks. This is a full moon to transform and heal the devastating pain from illness, broken hearts, broken homes and runaway financial debt. 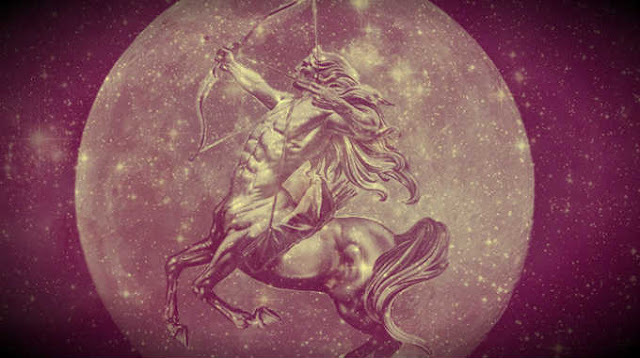 This Full Moon in Sagittarius brings anxiety, lost energy, perversion and malice. With the Moon, this star also brings secrecy, jealousy and trouble through relatives. Opposing forces or polarities in your life are gaining recognition. These can include your ego versus emotions, your work versus home, or what you need versus what you want. Inner tension and external pressures can lead to personal conflict and crises that drain your energy. The lunar qualities of emotions and instincts reach their peak at a full moon. Use you increased emotional strength and intuition to overcome any challenges. Subconscious awareness allows for an impartial and balanced look at your personal relationships. You will clearly see any relationship dynamics or negative feelings causing disharmony. All of these emotions coming to the surface can cause you to want to save yourself, or in most cases when you see the problems of others arising, to save them. Those touched by this Full Moon must be careful however, that their saving doesn’t turn into a savior complex. When this aspect warps, it warps big. At this time we can be the smothered or do the smothering. A healthy relationship may undergo some uncomfortable moments but continue evolving ever higher. Unsatisfying relationships may suffer from disloyalty or other forms or disrespect. Trying to satisfy your need for intimacy with a stranger would only cause problems because of carelessness and low standards. Self-discipline and emotional maturity will help you through. Try to overcome feelings of guilt about the past. Exposing emotional vulnerabilities and opening up to loved ones will enable the nurturing and closer bonding you might need to overcome the crisis. Full Moons tend to make us purge and release things from our lives, so we need to make sure that we are in control of this and no one is forcing our hand! Sometimes we can let go of things that we regret later, due to heightened emotions and impulsive reactions. This Full Moon wound could show up where we have felt scarred, betrayed or tainted. The wound could come from family scandals, a problem with inheritance or an undesirable ancestral trait. Positive karma and soul evolution will come from the transformation and healing you complete in the next two weeks. This post was republished from mysticalraven.com. You can find the original post here.